Hiddenite is a variety of spodumene, which is a pyroxene mineral in colors of colorless, lilac, purple, and yellow. It is often used to source lithium. Hiddenite comes in colors of colorless, green, yellow green, and yellow. This gemstone has an interesting history and fascinating metaphysical uses. Many people have used it has a healing stone and for attracting true love. Below we will elaborate on hiddenite’s history, properties, and metaphysical details. This gemstone was discovered in 1879 in North Carolina. More specifically, it was found near White Plains, a settlement located west of Stony Point, Alexander County. The gemstone passed a few hands before it was finally confirmed it was indeed a new type of gem. Allegedly, Lackey was the first person to find the gemstone. He informed a local merchant, J.A.D. Stephenson, of the gem since he was an avid collector of minerals. Stephenson brought them to the attention of William Earl Hidden, an exploration geologist who was commissioned by Thomas Edison to find platinum in North Carolina. After he sent samples to a prominent chemist, it was confirmed that the gem was unique. J. Lawrence Smith, the chemist and mineralogist who assessed its chemical makeup, named it after William Earl Hidden. The community in which it was first found was later named Hiddenite as well. Similar to diamonds, hiddenite is sometimes labeled as colorless. When the gemstones are mined, they usually have one end yellow and the other green. However, some are entirely green. Their colors range from near colorless, yellowish green, light yellow, deep yellow emerald green, pale green, green, to emerald. The gemstone is highly pleochroic, which means it displays different colors at different angles. 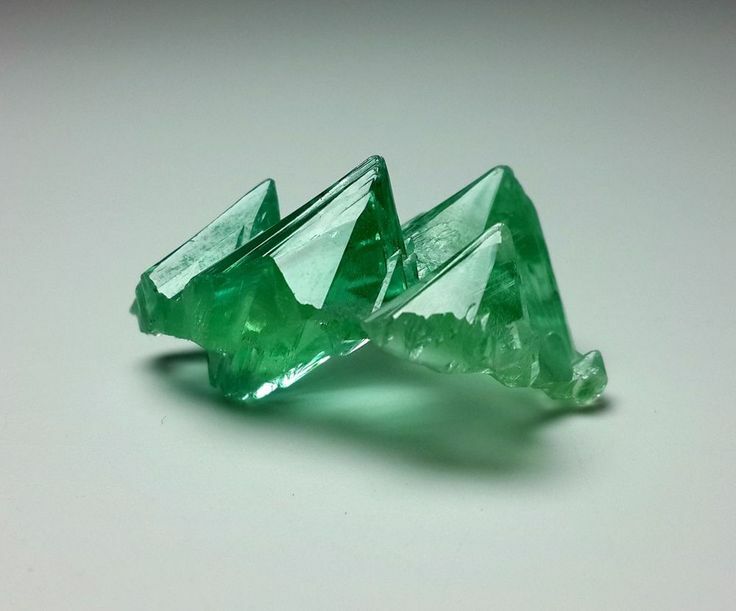 A newspaper in 1892 described hiddenite as having a “peculiar brilliancy which is wanting in true emerald.” It was popular among collectors and museums. Some people who liked emeralds also fell in love with stone because of its similarities to emeralds. As you may have guessed, the most valuable type of hiddenite is the emerald color. Good quality hiddenite is eye clean, meaning it doesn’t have visible inclusions. Color: Colorless, yellow green, green yellow, light yellow, deep yellow emerald green, pale green, green, and emerald. The gemstone is formed in prismatic crystals in pegmatite veins. It obtains its green color from chromium oxide, a material often added to glass for making green glass bottles. In metaphysics, this gemstone is considered a “Crystal of Evolution” because it helps people grow spiritually and emotionally. A Crystal of Evolution also helps a person become aware of their collective responsibility for Earth. The gemstone supports new beginnings. It can help you focus on the present moment and let go of injustices from the past and anxieties of what’s to come. Hiddenite is also a healing stone that attracts true love. It’s good to carry with you if you are searching for true love or want to save a relationship. The gemstone delivers constant pulses of loving heart energy. For best results in improving a relationship, both you and your partner should carry the stone. It can dissolve blockages in your heart that interfere with love. Another metaphysical use of the stone is easing emotional distress in children. It can be used to treat illnesses when conventional methods either aren’t working or are traumatic. The gemstone can also be used to treat illnesses in pets in cases where other methods haven’t worked. The gemstone has a protective property that dispels negativity. It can protect your body from unwanted energies and mental influences. People have used it to dispel attached entities as well. If you suspect you have an entity attached to you, then it’s a good idea to use this stone to dispel it. The stone is great in general whenever you feel like you’re surrounded by too much negativity in life. To benefit from hiddenite’s metaphysical properties, you can wear it as a pendant or tape it to a cell phone or other electromagnetic device. When used for healing of the physical body, practitioners can pass it over the body to reveal areas of disease, weakness, and coldness. It can assist in radionic analysis too. Some healers use the gemstone to increase the power of essential oils, herbs, hydrotherapy, and homeopathic remedies. In particular, hiddenite is good for treating toothaches, joint pain, and neuralgia. It is also good for strengthening the heart and circulatory system. Where Can We Find Hiddenite Today? The gemstone can be found in North Carolina, China, Brazil, and Madagascar. Afghanistan and Pakistan have green spodumene, but gemologists and mineralogists argue over whether or not it’s real hiddenite. Some gemologists and mineralogists think the green color is caused by irradiation. Other areas where deposits of this gemstone have been found are California and Burma. The Emerald Hollow Mine in North Carolina is a mine open to the public where you can find this type of gemstone as well as emeralds. It makes for a fun trip to search for gemstones at a mine if you like the thought of finding your gemstones on your own. Hiddenite is a beautiful gemstone that comes in a variety of colors from colorless, yellow, yellow green, to green. It can be pale or deep in color. With a hardness of 6-6.5-7, the gemstone works well in jewelry. The green colored varieties notable resemble emeralds but with greater brilliance. This is one of the reasons why it garnered so much interest in the 19th century. It is also why the green colored hiddenite is the most valuable type. For those who use gemstones for it’s metaphysical properties, it’s an excellent healing stone that attracts true love. Hiddenite has a wide variety of healing purposes involving the physical, emotional, and spiritual. Hey Buddy!, I found this information for you: "Hiddenite, the Healing Stone that Attracts True Love". Here is the website link: https://accessgems.com/hiddenite-healing-stone/. Thank you.